Home windows are not an everyday investment, so if you want to install some on your Madison, Wisconsin, home, you should choose a high-performance product that will look beautiful and perform efficiently for decades. 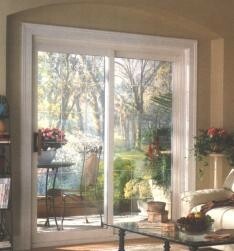 One of the first and foremost important criteria to factor in when looking for the perfect window is material. With so many options available to you – fiberglass, wood, steel, and many more – you may feel confused about what material will provide you with the results you want. If you are looking for home windows that are durable, energy efficient, and aesthetically appealing, then you should consider unplasticized virgin vinyl (uPVC). Exceptional thermal performance – The specially designed insulating airspaces in uPVC window frames, along with their low conductivity, make them an excellent barrier to heat transfer. Plus, uPVC is a natural insulator and resists heat loss in winter and heat gain in summer. This reduces the strain put on your HVAC system to maintain comfortable indoor temperatures year-round and can potentially lead to lower energy costs. Durability – Unplasticized vinyl is naturally resistant to moisture, rot, rust, blistering, and flaking, so you can rest assured your windows will perform efficiently and look beautiful for many years to come. Sustainability – During the manufacturing process, uPVC is easily chipped into waste material and extruded into new products, so 90 percent of its waste ends up being reprocessed. This leads to a cleaner, greener environment. If you want the best uPVC windows for your home, turn to the experts at ABC Seamless Home Specialists. We can provide you with gorgeous home windows that are made with longevity and strength in mind and are backed by a lifetime transferable warranty and a glass breakage warranty. Contact ABC Seamless Home Specialists today for more information about our home windows and the other products and services we provide to homeowners in the Madison, WI, area, and beyond.